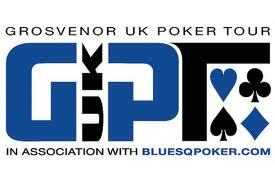 A total of 171 players entered the latest tournament on the Grosvenor UK Poker Tour (GUKPT) taking place in Walsall, England. One of the players was a local cab driver from London named Alan Mansbridge who decided to forego booking a hotel room figuring he would be eliminated on Day 1 of the two-day tournament according to CardPlayer.com. Mansbridge decision seemed to look prophetic as he barely managed to get through Day 1 of the GUKPT Walsall Main Event –a £1,000 buy-in tournament– and entered Day 2 as the short-stack at the table. However, that is when the taxi driver, Mansbridge, began weaving his way through the final table much like the cramped London streets he drives on, and eventually was able to claim victory and collect the £50,000 first-place prize-money after defeating Martin Holmes in heads-up action. The next stop on the main GUKPT will take place in Luton, England in mid-August, although there are a number of side events on the Summer Series of the GUKPT scheduled in the interim. For a complete look at the GUKPT schedule you can check out their website at GUKPT.com or check out some of the free poker sites that might be running satillites to the next GUKPT. This entry was posted on Tuesday, May 3rd, 2011 at 4:54 am and is filed under Poker News. You can follow any responses to this entry through the RSS 2.0 feed. You can leave a response, or trackback from your own site.